Were Hedge Funds Right About Procter & Gamble Company (PG)? Reputable billionaire investors such as Jim Simons, Cliff Asness and David Tepper generate exorbitant profits for their wealthy accredited investors (a minimum of $1 million in investable assets would be required to invest in a hedge fund and most successful hedge funds won’t accept your savings unless you commit at least $5 million) by pinpointing winning small-cap stocks. There is little or no publicly-available information at all on some of these small companies, which makes it hard for an individual investor to pin down a winner within the small-cap space. However, hedge funds and other big asset managers can do the due diligence and analysis for you instead, thanks to their highly-skilled research teams and vast resources to conduct an appropriate evaluation process. Looking for potential winners within the small-cap galaxy of stocks? We believe following the smart money is a good starting point. The Procter & Gamble Company (NYSE:PG) shareholders have witnessed an increase in support from the world’s most elite money managers in recent months. PG was in 60 hedge funds’ portfolios at the end of December. 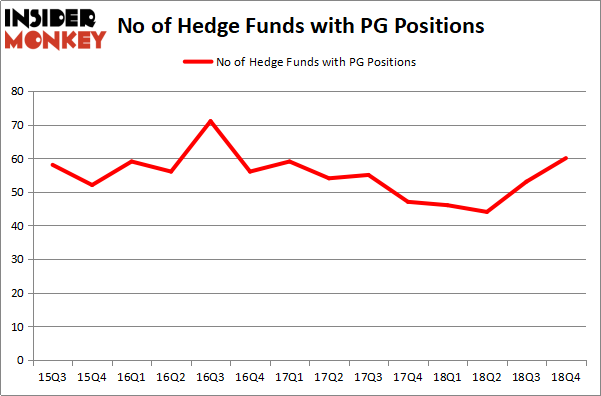 There were 53 hedge funds in our database with PG positions at the end of the previous quarter. Our calculations also showed that PG isn’t among the 30 most popular stocks among hedge funds. Let’s take a look at the new hedge fund action surrounding The Procter & Gamble Company (NYSE:PG). 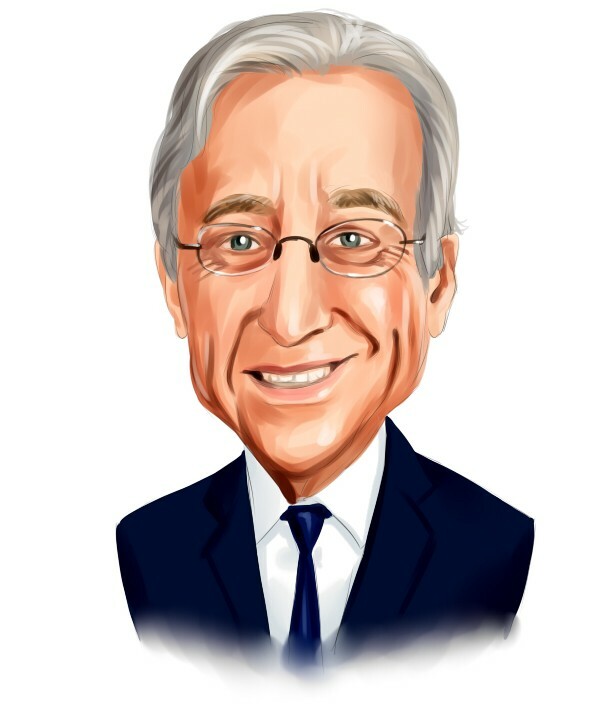 How are hedge funds trading The Procter & Gamble Company (NYSE:PG)? At the end of the fourth quarter, a total of 60 of the hedge funds tracked by Insider Monkey were bullish on this stock, a change of 13% from one quarter earlier. Below, you can check out the change in hedge fund sentiment towards PG over the last 14 quarters. With hedge funds’ capital changing hands, there exists an “upper tier” of notable hedge fund managers who were upping their holdings significantly (or already accumulated large positions). The largest stake in The Procter & Gamble Company (NYSE:PG) was held by Trian Partners, which reported holding $3484.8 million worth of stock at the end of September. It was followed by Cedar Rock Capital with a $1142.8 million position. Other investors bullish on the company included Yacktman Asset Management, Fisher Asset Management, and Alkeon Capital Management. Consequently, key money managers were breaking ground themselves. Alyeska Investment Group, managed by Anand Parekh, assembled the biggest position in The Procter & Gamble Company (NYSE:PG). Alyeska Investment Group had $68.4 million invested in the company at the end of the quarter. Brandon Haley’s Holocene Advisors also made a $65.9 million investment in the stock during the quarter. The following funds were also among the new PG investors: Per Johanssoná’s Bodenholm Capital, Principal Global Investors’s Columbus Circle Investors, and Jim Simons’s Renaissance Technologies. Let’s go over hedge fund activity in other stocks – not necessarily in the same industry as The Procter & Gamble Company (NYSE:PG) but similarly valued. These stocks are Wells Fargo & Company (NYSE:WFC), Intel Corporation (NASDAQ:INTC), Mastercard Incorporated (NYSE:MA), and Chevron Corporation (NYSE:CVX). This group of stocks’ market caps resemble PG’s market cap. As you can see these stocks had an average of 71.5 hedge funds with bullish positions and the average amount invested in these stocks was $10500 million. That figure was $9260 million in PG’s case. Mastercard Incorporated (NYSE:MA) is the most popular stock in this table. On the other hand Chevron Corporation (NYSE:CVX) is the least popular one with only 48 bullish hedge fund positions. The Procter & Gamble Company (NYSE:PG) is not the least popular stock in this group but hedge fund interest is still below average. Overall, hedge fund sentiment seems to be bearish to neutral. Our calculations showed that top 15 most popular stocks among hedge funds returned 19.7% through March 15th and outperformed the S&P 500 ETF (SPY) by 6.6 percentage points. Unfortunately PG wasn’t in this group. Hedge funds that bet on PG were disappointed as the stock returned 12.3% and underperformed the market. If you are interested in investing in large cap stocks, you should check out the top 15 hedge fund stocks as 13 of these outperformed the market. Levin Capital and Other Hedge Funds Are Snapping Up Farmer Brothers Co. (FARM... These Hedge Funds Were Right Betting On Corindus Vascular Robotics Inc (CVRS... Electron Capital Partner’s Return, AUM, and Holdings Hedge Funds Are Snapping Up Select Interior Concepts, Inc. (SIC) Jeffry Gates’ Gates Capital Management’s Return, AUM, and Holdings Which is the Most Popular Company Among Hedge Funds?